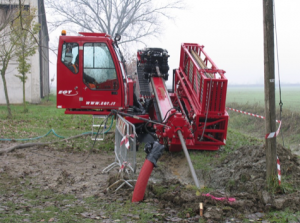 Our knowledge of the trenchless products we offer to market comes from industry experience working with moles through to Maxi HDD rigs, pipe ramming hammers and auger boring rigs. We supply the Italian based rig manufacturer EGT. With over 20 years experience the company has a history of designing and manufacturing drilling rigs for both vertical and horizontal markets. Meeting current EU regulations we can offer rigs sizes that range from 35 to 400 tons of pullback. To compliment the drilling rigs we can design and consult in building a tailored rig package that includes mud tanks, shakers, pumps, drill pipe, tooling and spares packages. We are the sole suppliers throughout Ireland and the UK of Swiss Engineered TERRA AG. The TERRA MINI-JET are extremely powerful HDD Pit Launched Machines. The MINI-JET is was developed for narrow space, an ideal machine for cities and urban areas for installing new service connections. The TERRA-HAMMER is used for trenchless undergrounding of pipes and cables by soil displacement. The pneumatically powered tool forces its way through the ground simultaneously installing PVC or PE pipes under driveways, roads and railway lines. The process is fast and economical, minimizing disruption and allows continuation of traffic flows during works. Sizes are available from 45mm up to 210mm. Pipe ramming uses the same principles as moling, pneumatically installing a steel casing. Subject to ground conditions diameters from 219mm up to 3,000 m are achievable. HDD Consumables, we could use some of this content on the original website. We can offer a range of products from leading brands such as Straightline, DCD, Brewis Direct, and Inrock. From standard side entry through to end loading sonde housing, have a product to offer. They can be specified to your requirements, with different configurations either for attaching a spade or threaded to couple to a DTH or mud motor. StraightLine’s bits are an excellent choice for alluvial, clay, sands and gravel conditions as the bit body is constructed from 4140 steel plate for long service life. 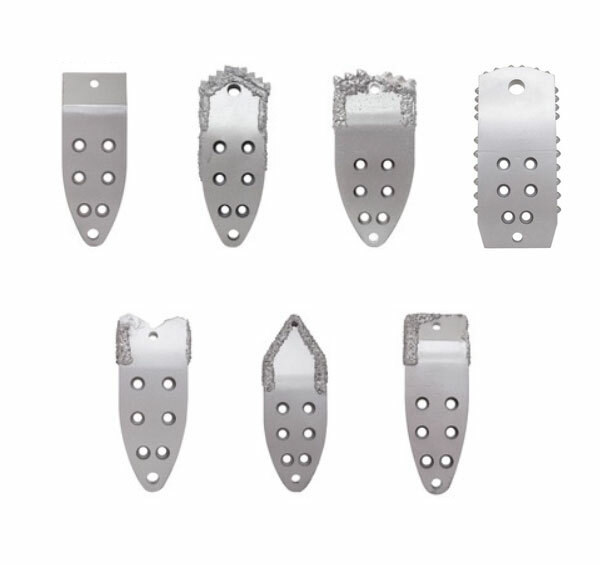 With StraightLines’ Hardfaced bits you can expect good service in abrasive conditions. Available for all Vermeer® drills from the D6x6 to the D36x50SII. Our starter rods are available in both Firestick® I and Firestick® II compatible connections. These parts are manufactured from 4145HT material for maximum service life. Ditch Witch® Compatible starter rods provide a simple crossover from Ditch Witch® drills to Vermeer® down hole tools and DCI transmitters, these starter rods are available for the JT920, JT1720 and the JT2720 directional drills and are manufactured from 4145HT material for maximum service life. The Starter Rod provides a non-torqued connection between the Starter Rod and the down hole tool for safe and convenient tool installation and removal. Replacement hex collars for Vermeer® and Ditch Witch®. All hex collars feature a machined hole to protect the collar locking bolt. Available with or without hardfacing. For drilling in bedrock, we can supply a range of hole openers that have a 40 years pedigree. Depending on formation strengths, they can be fabricated with TCI or mill tooth cutters. For maintenance, DSE can provide a range of carbide replacement weld on teeth from Kennametal. We offer the DCD pullback swivels which are designed specifically for horizontal directional drilling applications and after 20 years, they have proven capable of the challenge. The most important feature of the DUB-Swivel® design was the sealing system: multiple stages that became progressively finer to exclude sand and other coarse particles that can easily destroy a seal. In addition to the sealing system, these swivels offer an easily accessible lubrication system complete with relief valve. A high-quality grease formulation fills the bearing cavity, providing an immersed physical barrier to the rotating bearing elements. High Tensile Drop Forged Steel Eyebolts. Proven Tooth Profile for high gripping power. 1″ to 12″ IPS, JIS etc. Accommodates SDR 11 to 17.6, other sizes can be made on request. The Mudtight GOLD™ Towing Head was designed and developed with the aim to solve the age old problem of sealing the pipe without adding too much bulk to the outside diameter of the pipe. It’s patented sealing cartridge seals on the inside of the pipe and is reversible so that it will seal on both SDR 11 and SDR 17.6 pipe. All popular sizes available from stock.